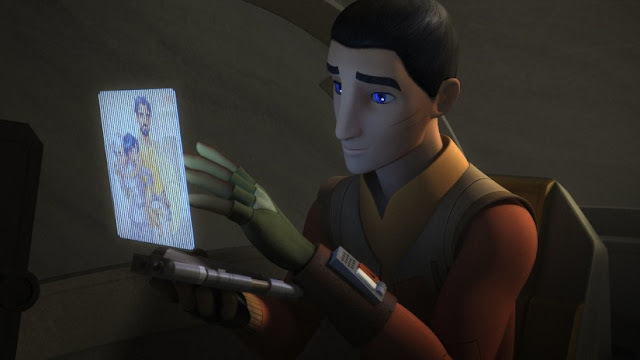 Loving Starwars Rebels the complete fourth season coming to Blu-ray and DVD July 31st this is actually the final season which makes it kind of sad but on the other hand are you can complete your collection of Star Wars Rebels. 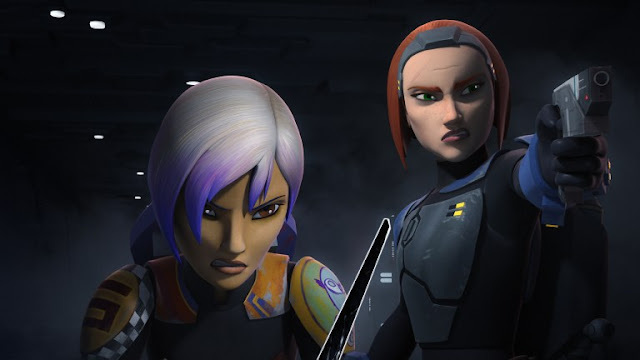 This series features some of the most critical acclaim Star Wars storytelling today. All friends reunited and new alliances are forged. 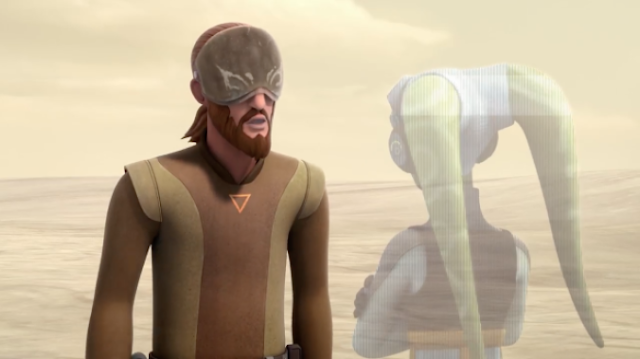 Star wars revels were created by Dave Filoni, Simon Kinberg, and Carrie Beck The Lucasfilm animation production is also executively produced by Filoni and Kinberg. 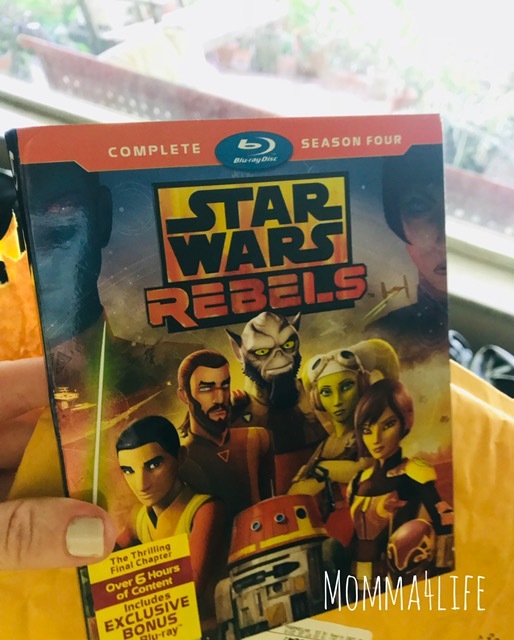 This DVD Star Wars Rebels the complete fourth season delivers 15 action-packed episodes of the hit animated series final season. 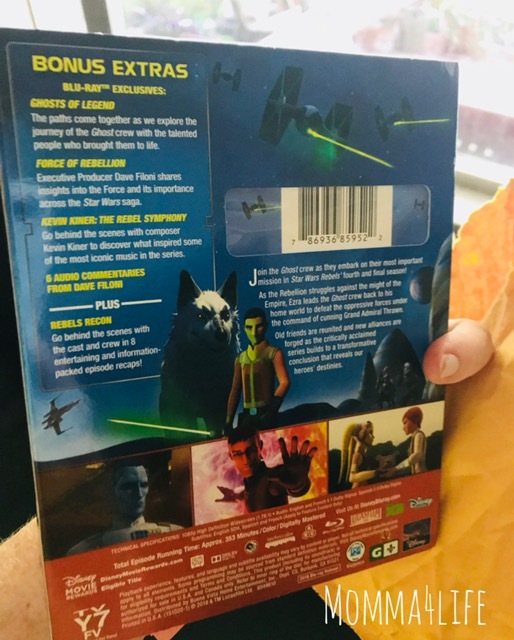 And has never before seen bonus extras on Blu-ray. This is a great DVD to play and watch or your children we have the first season and I believe we have all four seasons and my son and daughter absolutely love them. The complete fourth season will be released on July 31, 2018 on Blu-ray two disc and DVD 3 disc and the episodes are rated TVY7– FV with Bonus material not rated. The complete fourth season runs approximately 353 minutes with languages and subtitles in English, French, and Spanish.